Fields and fields of wildflowers surround the barn and ceremony site at Mansfield Barn. 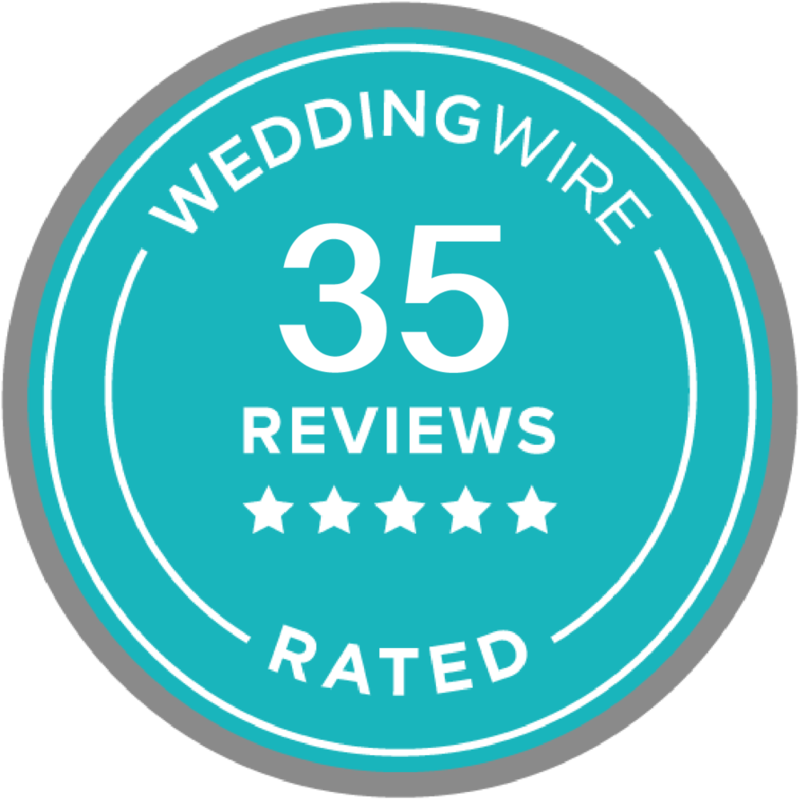 Wedding photography in Vermont is an embarrassment of riches: I've photographed wedding days with rainbow-tastic sunsets on the lake, ceremonies among the green mountains, and portraits at grand estates that have multiple wings. 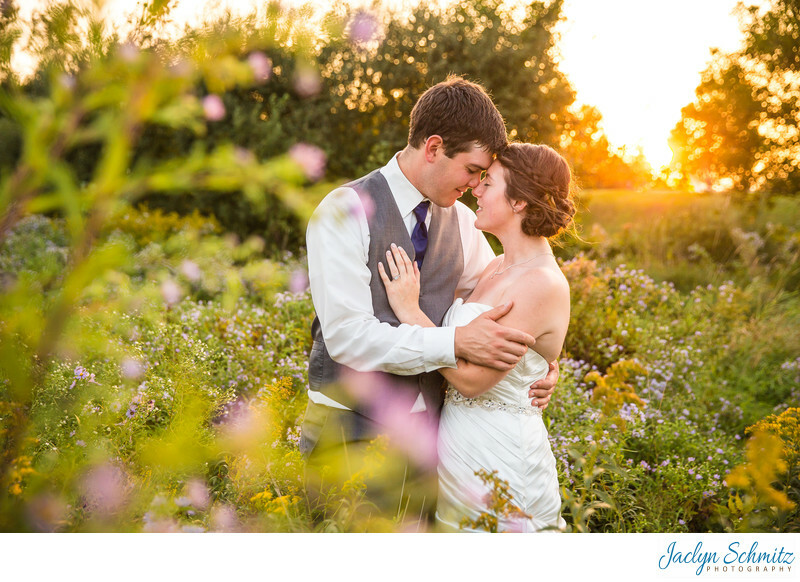 But this portrait of Christy and Cal as the sun sets just behind them is one of my favorites. The way they are sinking into each other's embrace and gently smiling gives me goosebumps. This classic red Vermont barn is brand new with tall, solid wooden beams and lots of pretty twinkle lights. This wedding couple was even able to park a tractor in the front for a fun photo op. Christy and Cal's wedding theme was sunflowers (designed by The Pretty Petal) and the color navy blue, with a Fireman kissing a bride cake topper as tribute to groom Cal's profession. Stephanie from Jaclyn Watson Events coordinated all the wedding details, with SuperSounds DJ keeping the party going all night. Delicious Southern BBQ was prepared by Bill Wetherbee's Catering, and adorably cute cupcakes were from Cake and Crumb Bakery. Essence Salon and Day Spa gave Christy a beautiful side braid with lovely tendrils of hair framing her face that gorgeously blew in the wind. Location: 3 Irish Farm Rd, Jericho, VT 05465.